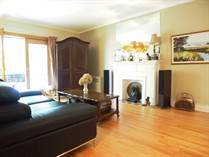 "Exquisite Townhouse On the Flats, Westmount"
"Renovated Gem in Monkland Village!" "Ideal Family Home in TMR!" "Renovated DETACHED 3 Storey Home in Monkland Village!" "Chic Willowdale Isle area Stone Duplex - Renovated!" "Near New Vendome Intermodal Hub!" "Detached 4 BR Home Facing Park, Monkland Village!" "Westmount Adjacent- Right Across from Vendome hub!"